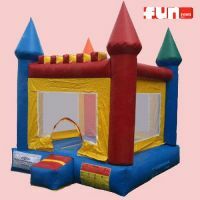 This is a fun inflatable moonwalk bounce that is 15' x 15' This fun rental is very tall and has a castle style theme. 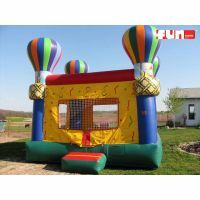 A multi-color, fun, bright and colorful inflatable bounce castle rental that is fun, and entertaining for all. 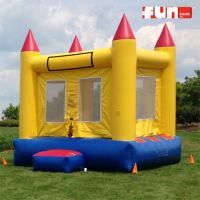 The color castle theme is great for both little princes and princesses to enjoy at parties or special events. A Milwaukee area rental favorite. 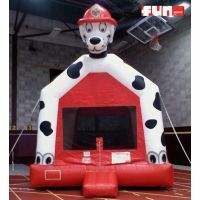 This Dalmatian dog themed bounce house is perfect for any kid who appreciates animals! 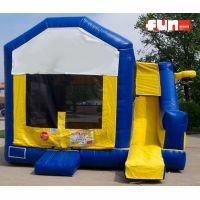 Jump, bounce, and play in this incredibly tall moonwalk at your next birthday party. Check off your bucket list goal #75: To jump inside of a giant inflatable dinosaur bounce house. 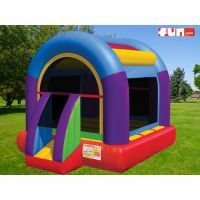 Whether or not this one makes this list, children love to jump and play in bounce houses. 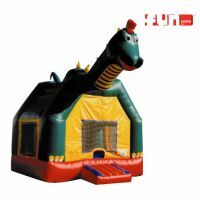 It's an inflatable Dragon Bounce House rental and his name is Drake. Kids love to play and have fun jumping in this fun party idea. 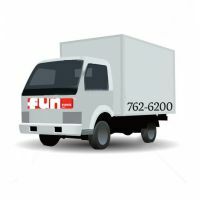 This is great fun for children and kids of all ages. 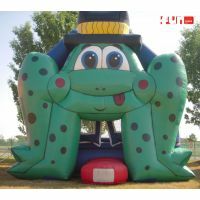 Froggy The Frog Inflatable Bounce House is great for children and young adults to hop or jump like a frog in. 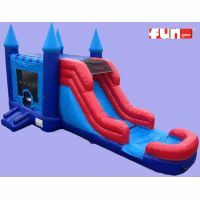 This entertaining and colorful attraction will provide hours of fun and will add character to your birthday party or special event. This inflatable bouncer house looks just like a hot air balloon. Float around the world and let your imagination sore through the sky as you jump away in this exciting moon walk style fun party idea. 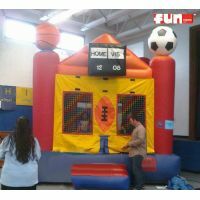 This sport theme inflatable jumping house is great for your sports theme party or for your young sports enthusiast. Has a Baseball, Basketball, Football, & Soccer Ball. The inflatable clowns are coming! 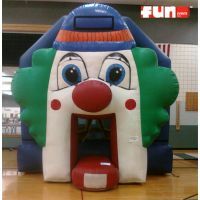 (To your event) This Fun House inflatable bounce house rental has a fun house clown theme. Perfect for school carnivals, church festivals and funfairs. 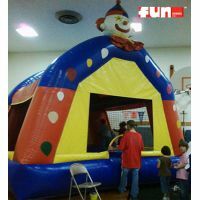 If you have a birthday or know anybody who does, then this is the bounce house for your party! Let your children do Tigger's favorite activity.... BOUNCE! 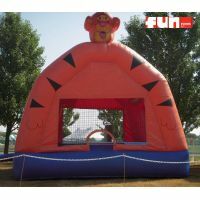 This bounce house is named after "Tigger" the funny tiger character in Disney's "Winnie the Pooh". 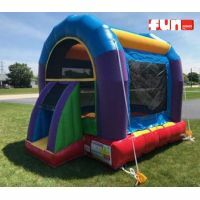 The Wacky Birthday Bouncer colorful new bounce house is the perfect size bounce for backyard parties and for rental pickup. 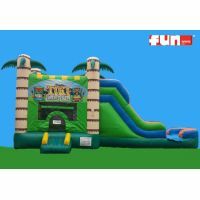 Designed for younger children to be able to safely play, bounce and keep themselves entertained in the bouncy inflatable jump room. Yee Haw! 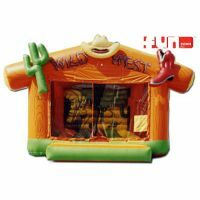 Lil' cowboys jump, bounce, and holler in the Wild West Inflatable western theme bouncer jumping room. Notice: Inflatable cacti are not real. Jumping boots should be removed before entering!